This is the JConcepts Front Wing and Molded Mount Set for the Team Associated B6 and B6D. 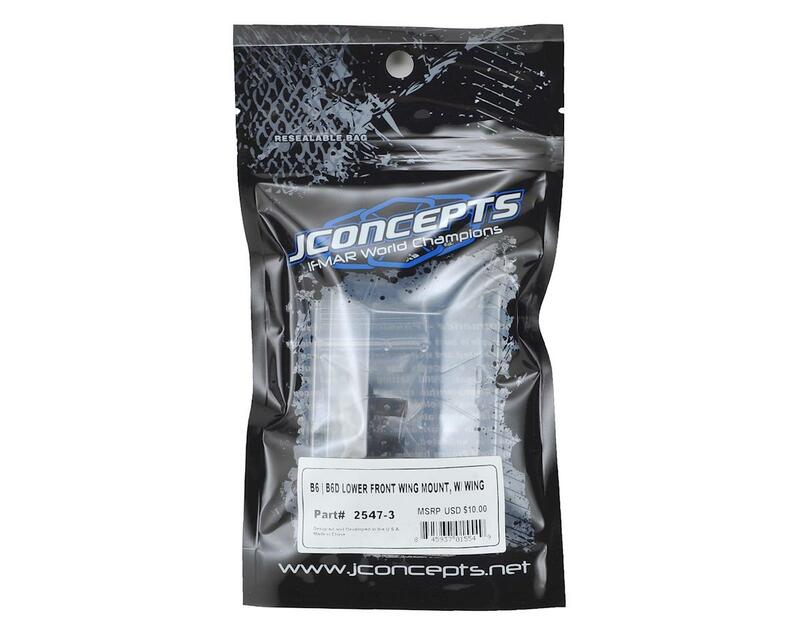 JConcepts, together with their pro racing team of drivers, developed an additional high-performance, lower front wing. 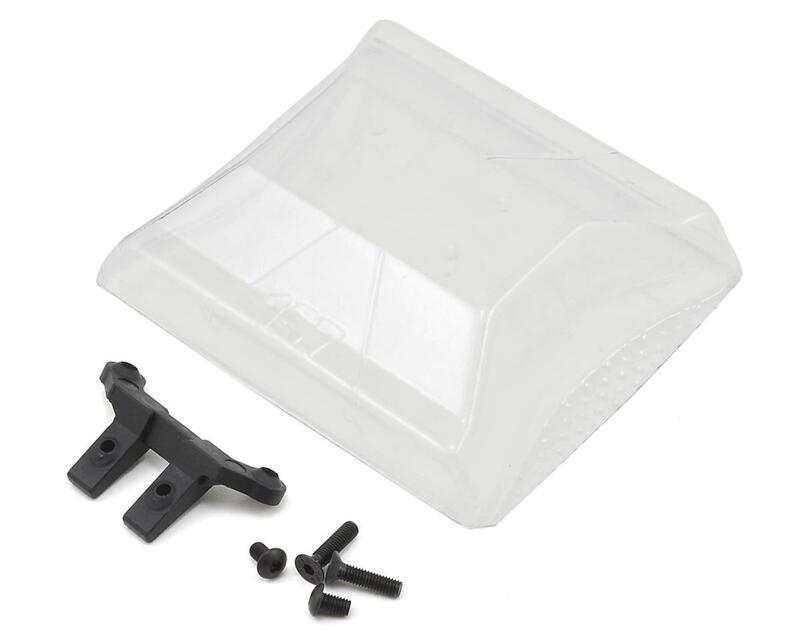 The lower front wing mount is injection molded, durable and extremely light-weight. The mount places the (included) JCO0157 wing in a more forward position and is quite easy to trim, use and test without sacrificing all important track time. The front wing features a high-attack design with trim-able rear gurney options. A radical, edgy design which functions and compliments the Finnisher and Silencer body design includes elements and features fresh for the latest off-road conditions. The wing mount itself attaches with supplied hardware to the front shock tower. Cut lines are included for easy trimming while dimples are located on the wing itself to indicate where to mount to the JConcepts front wing mount. The leading center section of the wing has been formed into a unique V-shape to perfectly flow and maneuver around the camber links and tower or front shocks. Sturdy front wing, give a bit more high speed steering at larger tracks vs nothing at all. Product is tough, just finally tore a corner on the wing after 2 months of racing on this one, definitely recommend. A little overpriced imo but I’d purchase it again in a heartbeat. Can’t really notice a difference in performance but to me it just looks so freaking cool!